When configuring GridGuard Realms, setting up a default GridPic image is a recommended security step. 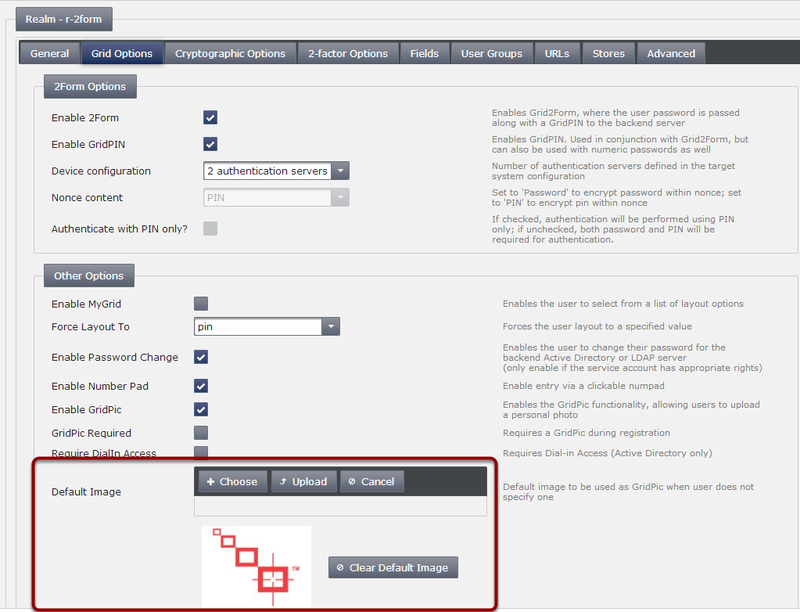 If a GridPic has not been uploaded by the user, the default GridPic image will be shown during the login process. This will assure them that they are accessing the proper site and not a phishing or spoof site. Expand the 'Realms' tree and select the realm that needs the default image updated. Find the 'Default Image' field and click on the 'Upload file' button next to it. You should now be able to see a preview of the image you uploaded. Click the 'Save' button in the upper left to finalize changes.